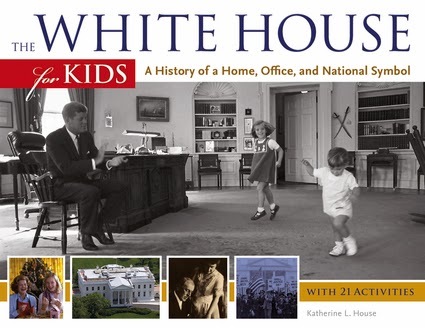 Katherine L. House is the author of the new book The White House for Kids: A History of a Home, Office, and National Symbol. 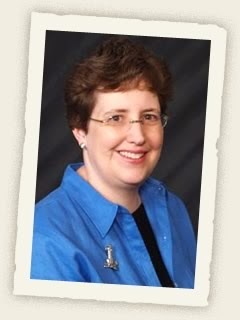 She also has written Lighthouses for Kids, and has published articles in magazines including AppleSeeds and Cobblestone. She is based in Iowa City. Q: How did you come up with the idea for The White House for Kids, and how did you select material--both the text and the special activities that are part of the book--that you thought would be especially interesting for young readers? A: I was born in Washington, D.C., and grew up in Arlington, Va., about 15 minutes from the White House. When I was a kid, we watched inaugural parades on TV and went downtown to see the Christmas trees outside the White House. My parents often talked about the history of the area, including links to current and former presidents. When I moved away from Washington as an adult, I became aware that many people who had worked in the White House had written fascinating memoirs about life there—and the human side of the presidents and first ladies. Information about presidents’ hobbies, their pets and what they ate fascinated me, and I knew it would interest young readers, too. When selecting information, I tried to tell lively stories that go into more detail than the one or two sentences of trivia that readers might have been exposed to in school or by reading other books. It was challenging to explain the history of the house, the job of the president and what it’s like to live and work in the White House all in one book. As for the activities, I tried to come up with fun, cross-curricular activities that supplemented the text. Q: What type of research did you do for the book? A: I did a lot of primary source research. I read books written by former presidents, first ladies and first kids, as well as former White House aides, photographers, chefs and maids. I pored over newspaper articles published when major events happened, such as those about state dinners, inaugurations and White House renovations. I also watched documentaries about the White House, some of which included interviews with former presidents, and read books and articles by people who have studied the White House in detail. Q: How did you pick the photos that accompany the text? A: As you can imagine, the good news was that lots of amazing photos of the White House, presidents and their families existed. But that was also the bad news because there were many more that I wanted to use but didn’t have room for. I live within driving distance of Chicago, so I visited my editor at Chicago Review Press while I was finalizing the photos. She helped me winnow the number. I worked hard at selecting photos that showed children—either first kids or those visiting the White House. I know presidential pets fascinate young readers, so I included several of those. I wanted a balance of presidents from different eras, as well as photos showing different rooms of the White House. And I picked those that showed presidents at work and at play. Q: What has the reaction been so far to the book? A: I’ve been delighted by the positive reviews and the wonderful publicity. Both Kirkus and School Library Journal described the book as “engaging,” which I consider to be a high compliment when writing history for young readers. And the editor of the KidsPost section of The Washington Post interviewed me right before Presidents’ Day. I grew up reading The Washington Post, and I even delivered it when I was in high school, so getting featured in the Post was terrific. A: I’m between projects right now, although I’ve talked to my editor about the possibility of tackling another “for Kids” book. I’m constantly drawn to interesting stories from America’s past, especially ones about little-known people who made a difference, as well as little-known stories about famous people. 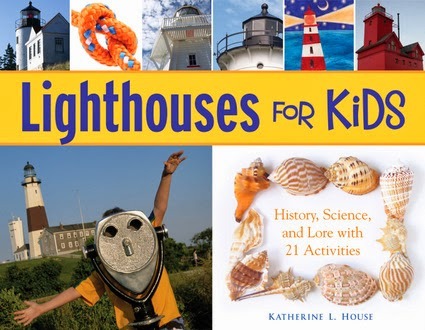 A: My first book, Lighthouses for Kids: History, Science, and Lore with 21 Activities, was published by Chicago Review Press in 2008. I fell in love with lighthouses as a child during vacations in Maine. As an adult, I continue to visit lighthouses when I travel. Writing this book gave me the opportunity to explain what life was like for children of lighthouse keepers, who often grew up in remote areas, far away from schools, stores and friends. The book also offers a primer on lighthouse architecture and explains the science behind the lighthouse light. Creating a bright light in an era before electricity was no small feat. Readers can learn more about me and my work at my new web site, www.KatherineLHouse.com, and my site devoted to my lighthouse book, www.lighthousesforkids.com.